На ранних стадиях остеоартрит кисти (ОАК) из-за развития синовита напоминает поражение суставов кисти при ревматоидном артрите (РА). Однако локализация синовита при этих заболеваниях различна: при ОАК в процесс вовлечены дистальные межфаланговые суставы и суставы большого пальца. При ОАК отрицательны результаты тестов на иммунологические маркеры (антитела к цитруллинированному пептиду), что типично для РА. Различия ОАК и РА очевидны при рентгенографии и магнитно-резонансной томографии кисти. Изучение патогенеза остеоартрита (ОА) свидетельствует о роли дисбаланса цитокинового профиля, что сближает его с РА. Терапия ОАК практически не разработана, имеются лишь отдельные исследования, посвященные применению базисных противовоспалительных и биологических препаратов у таких пациентов. Отмечена необходимость создания отечественных рекомендаций по лечению ОАК. 1. Michon M, Maheu E, Berenbaum F. Assessing health-related quality of life in hand osteoarthritis: a literature review. Ann Rheum Dis. 2011 Jun;70(6):921-8. doi: 10.1136/ard.2010.131151. Epub 2011 Mar 11. 2. Hunter DJ, Schofield D, Callander E, et al. The individual and socioeconomic impact of osteoarthritis. Nat Rev Rheumatol. 2014 Jul;10(7):437-41. doi: 10.1038/nrrheum.2014.44. Epub 2014 Mar 25. 3. Kortekaas M C, Kwok WY, Reijnierse M, et al. Pain in hand osteoarthritis is associated with inflammation: the value of ultrasound. Ann Rheum Dis. 2010 Jul;69(7):1367-9. doi: 10.1136/ard.2009.124875. Epub 2010 May 14. 4. Vlychou M, Kontroumpas A, Malisos K, et al. Us evidence ultrasonographic of inflammation is frequent in hands of patients with erosive osteoarthritis. Osteoarthritis Cartilage. 2009 Oct;17(10):1283-7. doi: 10.1016/j.joca.2009.04.020. Epub 2009 May 7. 5. Haugen IK, Bњyesen P, Slatkowsky-Christensen B, et al. Associations between MRI- defined synovitis, bone marrow lesions and structural features and measures of pain and physical function in hand osteoarthritis. Ann Rheum Dis. 2012 Jun;71(6):899-904. doi: 10.1136/annrheumdis-2011-200341. Epub 2011 Nov 25. 6. Sellam J, Berenbaum F. The role of synovitisin pathophysiology and clinical symptoms of osteoarthritis. Nat Rev Rheumatol. 2010 Nov;6(11):625-35. doi: 10.1038/nrrheum.2010.159. Epub 2010 Oct 5. 7. Benito MJ, Veale DJ, Fitzgerald O, et al. Sinovial tissue inflammation in early and late osteoarthritis. Ann Rheum Dis. 2005 Sep; 64(9):1263-7. Epub 2005 Feb 24. 8. Furuzawa-Carballeda J, Macip-Rodriguez PM, Cabral AK. Osteoarthritis and rheumatoid arthritis pannus have similar quabitative metabolic characteristics and pro-inflammatory cytokine response. Clin Exp Rheumatol. 2008 Jul-Aug;26(4):554-60. 9. Fernandes JC, Martel-Pelletier J, Pelletier JP. The role of the cytokines in osteoarthritis pathophysiology. Biorheology. 2002;39(1-2):237-46. 10. Sakkas LI, Platsoucas CD. The role of T cells in the pathogenesis of osteoarthritis. Arthritis Rheum. 2007 Feb;56(2):409-24. 11. Walsh DA, Bonnet CS, Turner EL, et al. Angiogenesis in the synovium and at the osteochondral junction in osteoarthritis. Osteoarthritis Cartilage. 2007 Jul;15(7): 743-51. Epub 2007 Mar 21. 12. Niissalo S, Hukkanen M, Imai S, et al. Neuropeptide in experimental and degenerative arthritis. Ann N Y Acad Sci. 2002 Jun; 966:384-99. 13. Yusuf E, Ioan-Facsinay A, Bijsterbosch J, et al. Association between leptin, adiponectin,and resistin and long-term progression of hand osteoarthritis. Ann Rheum Dis. 2011 Jul;70(7):1282-4. doi: 10.1136/ard.2010.146282. Epub 2011 Apr 6. 14. Lotz M, Martel-Pelletier J,Christiansen C, et al. Value of biomarkers in osteoarthritis: current status and perspectives. Ann Rheum Dis. 2013 Nov;72(11):1756-63. doi: 10.1136/annrheumdis-2013-203726. Epub 2013 Jul 29. 15. Stamm TA, Machold KP, Smolen JS, et al. Joint protection and home hand exercises improve hand function in patients with hand osteoarthritis: a randomized controlled trial. Arthritis Rheum. 2002 Feb;47(1):44-9. 16. Kjeken I, Darre S, Slatkowsky-Cristensen B, et al. Self-management strategies to support performance of daily activities in hand osteoarthritis. Scand J Occup Ther. 2013 Jan;20(1):29-36. doi: 10.3109/11038128.2012.661457. Epub 2012 Mar 1. 17. Stukstette MJ, Dekker J, den Broeder AA, et al. Nj evidence for the effectiveness of a multidisciplinary group based treatment program in patients with hand osteoarthritis of hand on the short term: results of a randomized controlled trial. Osteoarthritis Cartilage. 2013 Jul;21(7):901-10. doi: 10.1016/j.joca.2013.03.016. Epub 2013 Apr 11. 18. Dziedzic KS, Hill S, Nicholls E, et al Self management, joint protection and exercises in hand osteoarthritis: a randomised controlled trial with cost effectiveness analyses. BMC Musculoskelet Disord. 2011 Jul 11; 12:156. doi: 10.1186/1471-2474-12-156. 19. Rannou F, Dimet J, Boutron I, et al. Splint for base-of-thumb osteoarthritis: a randomized triak. Ann Intern Med. 2009 May 19; 150(10):661-9. 20. Gomes Carreira AC, Jones A, Natour J. Assessment of the effectiveness of a functional splint for osteoarthritis of the trapeziometacarpal joint on the dominant hand: : a randomised controlled study. J Rehabil Med. 2010 May;42(5):469-74. doi: 10.2340/16501977-0542. 21. Kloppenburg M. Hand osteoarthritis – nonpharmacological and pharmacological treatments. Nat Rev Rheumatol. 2014 Apr; 10(4):242-51. doi: 10.1038/nrrheum. 2013.214. Epub 2014 Jan 28. 22. Moore RA,Tramer MR,Carroll D, et al. Qantitative systematic review of topically applied non steroidal anti-inflammatory drugs. BMJ. 1998 Jan 31;316(7128):333-8. 23. Mason L, Moore RA, Derry S, et al. Systematic review of topical capsaicin for the treatment of chronic pain. BMJ. 2004 Apr 24; 328(7446):991. Epub 2004 Mar 19. 24. Altman RD, Barthel HR. Topical therapies for osteoarthritis. Drugs. 2011 Jul 9; 71(10):1259-79. doi: 10.2165/11592550-000000000-00000. 26. Wenham CY, Hensor EM, Grainger AJ, et al. A randomized,double-blind, placebocontrolled trial of low-dose oral prednisolone for treating painful hand osteoarthritis. Rheumatology (Oxford). 2012 Dec;51(12): 2286-94. doi: 10.1093/rheumatology/kes219. Epub 2012 Sep 6. 27. Keen HI,Wakefield RJ,Hensor EM, et al. Response of symptoms and synovitis to intramuscular methylprednisolone in osteoarthritis of the hand: an ultrasonographic study. Heumatology (Oxford). 2010 Jun;49(6): 1093-100. doi: 10.1093/rheumatology/keq010. Epub 2010 Mar 10. 28. Joshi R. Intraarticular corticosteroid injection for first carpometacarpal osteoarthritis. J Rheumatol. 2005 Jul; 32(7):1305-6. 29. Swindells MG, Logan AJ, Armstrong DJ, et al. The benefit of radiologically-guided steroid injections for trapeziometacarpal osteoarthritis. Ann R Coll Surg Engl. 2010 Nov;92(8):680-4. doi: 10.1308/003588410X12699663905078. Epub 2010 Jul 19. 30. Salini V, De AD, Abate M, et al. Ultrasound-guided hyaluronic acid injection in carpometacarpal osteoarthritis: short-term results. Int J Immunopathol Pharmacol. 2009 Apr-Jun;22(2):455-60. 31. Heyworth BE, Lee JH, Kim PD, et al.Hylan versus corticosteroid versus placebo for treatment of basal joint arthritis: a prospective, randomized, double-blinded clinical trial. J Hand Surg Am. 2008 Jan; 33(1):40-8. doi: 10.1016/j.jhsa.2007.10.009. 32. Fuchs S,Monikes R,Wohlmeiner A, et al. Intraarticular hyaluronic acid compared with corticoid injection for the treatment of rhizarthtrosis. Osteoarthritis Cartilage. 2006 Jan;14(1):82-8. Epub 2005 Oct 19. 33. Bahadir C, Onal B, Dayan VY, et al. Comparison of therapeutic effects of sodium hyaluronate and corticosteroid injections on trapeziometacarpal joint osteoarthritis. Clin Rheumatol. 2009 May;28(5):529-33. doi: 10.1007/s10067-008-1079-6. Epub 2009 Jan 10. 34. Rovetta G, Monteforte P, Molfetta G, et al. A two-year study of chondroitin sulfate in erosive osteoarthritis of the hands: behavior of erosions, osteohhytes, pain and hand dysfunction. Drugs Exp Clin Res. 2004;30(1):11-6. 35. Gabay C, Medinger-Sadowski C, Gascon D, et al. Symptomatic effects of chondroitin 4 and chondroitin 6 sulfate on hand osteoarthritis: a randomized, doubleblinded, placebo- controlled clinical trial at a single center. Arthritis Rheum. 2011 Nov;63(11):3383-91. doi: 10.1002/art.30574. 36. Dougados M, Nguen M, Berdah L, et al. Evaluation of the structure-modifying effects of Diacerhein in hip osteoarthritis. ECHODIAN, a three-year, placebo-controlled trial. Arthritis Rheum. 2001 Nov; 44(11):2539-47. 37. Pavelka K,Trc T, Karpas K, et al. The efficacy and safety of Diacerhein in the treatment of painful osteoarthritis of the knee : a randomised, multicentre, double-blind, placebo- controlled study with primery end points at two months after the end of a threemonth treatment period. Arthritis Rheum. 2007 Dec;56(12):4055-64. 38. Shin K, Kim JW, Moon K, et al. The efficacy of diacerein in hand osteoarthritis: a blind, randomized,placebo-controlled study. Clin Ther. 2013 Apr;35(4):431-9. doi: 10.1016/j.clinthera.2013.02.009. Epub 2013 Mar 6. 39. 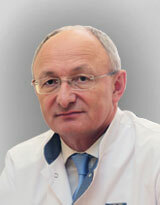 Pavelka K, Olejarova M, Pavelkova A. Methotrexate in the treatment of erosive OA of the hands. Ann Rheum Dis. 2006;65 (Suppl II):402 (abstract). 40. Bryant LR, des Rosier KF, Carpenter MT. Hydroxychloroquine in the treatment of erosive osteoarthritis. J Rheumatol. 1995 Aug; 22(8):1527-31. 41. Punzi L, Bertazzolo N, Pianon M, et al. Soluble interleukin 2 receptors and treatment with hydroxychloroquine in erosive osteoarthritis. J Rheumatol. 1996 Aug;23(8): 1477-8. 42. Kingsbury SR, Tharmanathan P, Adamson J, et al. Hydroxychloroquine effectiveness in reducing symptoms of hand osteoarthritis (HERO): study protocol for a randomized controlled trial. Trials. 2013 Mar 2;14:64. doi: 10.1186/1745-6215-14-64. 43. Detert J, Klaus P, Listing J, et al. Hydroxychloroquine in patients with inflammatory and erosive osteoarthritis of the hands ( OA TREAT): study protocol. Trials. 2014 Oct 27;15:412. doi: 10.1186/1745-6215-15-412. 44. Kingsbury SR, Tharmanathan P, Keding A, et al. Hydroxychloroquine in hand osteoarthritis: results of the UK HERO trial. Osteoarthritis Cartilage. 2017;25(Suppl 1):S3-S4. 47. Morris SJ, Wasko MC, Antohe JL, et al. Hydroxychloroquine use associated with improvment in lipid profiles in rheumatoid arthritis patients. Arthritis Care Res (Hoboken). 2011 Apr;63(4):530-4. doi: 10.1002/acr.20393. 48. Fioravanti A, Fabbroni M, Cerase A, et al. Treatment of erosive osteoarthritis of the hand by intra-articular infliximab injections: pilot study. Rheumatol Int. 2009 Jun; 29(8):961-5. doi: 10.1007/s00296-009-0872-0. Epub 2009 Feb 6. 49. Magnano MD, Chakravarty EF, Broudy C, et al. A pilot study of tumor necrosis factor inhibition in erosive/ inflammatory osteoarthritis of the hands. J Rheumatol. 2007 Jun;34(6):1323-7. Epub 2007 May 15. 50. Verburggen G, Wittoek R, Vander CB, et al. Tumor necrosis factor blockade for the treatment of erosive osteoarthritis of the interphalangeal finger joints: a double blind, randomized trial on structure modification. Ann Rheum Dis. 2012 Jun;71(6):891-8. doi: 10.1136/ard.2011.149849. Epub 2011 Nov 29. 51. Chevalier X, Ravaud P, Maheu E, et al. A randomized, multicentre, double-blind, placebo- controlled trial of anti-TNF alpha (adalimumab) in refractory hand osteoarthritis: the DORA study. Arthritis Rheum. 2012; 64(S10):S 1042. 52. Bacconnier L, Jorgensen C, Fabre S, et al. Erosive osteoarthritis of the hand: clinical experience with anakinra. Ann Rheum Dis. 2009 Jun;68(6):1078-9. doi: 10.1136/ard.2008.094284.